Can I tell you to read this book? Because I’m going to. Please read this book. It is beautiful. Sometimes you forget that books can be beautiful. 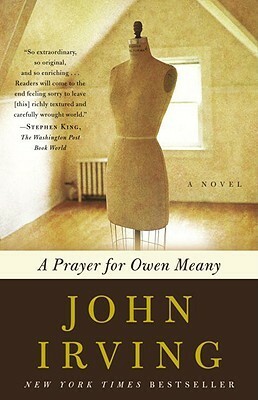 And I know A Prayer for Owen Meany by John Irving has been around for a while, so many of you probably have already experienced it. And I know it has already been made into a terrible movie adaptation. And I know the novel itself is considered controversial, but what great literature isn’t controversial in some way? It is not suspenseful, actually it is rather plodding. And you wonder why Irving made it plodding, but when you read the last several pages, you realize that plodding was actually perfection. It is not a quick read, each page is purposeful, each sentence of vital importance to the impact of the story. When was the last time you read a book and were convinced that the author planned carefully each sentence, phrase, and word? This book gave me chills, and I think it will do the same for you too (and Stephanie H. if you are reading this I MEAN YOU). Owen Meany is an itsy bitsy boy who grows into an itsy bitsy man, and he has an itsy bitsy voice. And he is an instrument of God. For reals; he is not delusional. And he kills his best friends mom with a baseball. And subplots abound. And you question why they abound. And then you are thankful. And we watch the entire life of this little man. It’s been called a Christian mystic novel. And as a nonbeliever, if religion was really this cool I might have to sign up (well, probably not, but still). I suppose strict believers in Christianity could be offended by the different interpretation and usage of the Christian faith, but this is set in England, and I am not sure but I feel like the English have different perspective on all this business. And it is just a good story. So why not 5/5? Hmmm. The narrator is John, and John is really just a vehicle for telling Owen’s story. He is more of an observer than a participant, and while he serves his purpose well, I occasionally felt that he needed to react with more emotion to the events of their lives, because his life is inescapably intertwined with Meany’s. Also, you have to suspend your belief in order for this story to be magical, but I guess why not suspend your belief for a couple of hours each day while reading a good book. 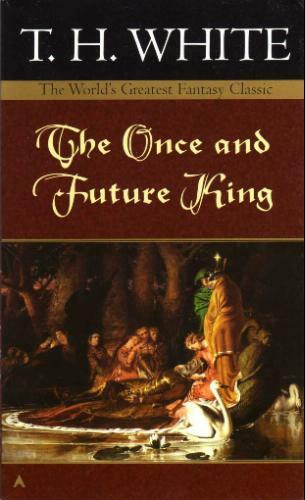 This entry was posted in Book Reviews, Classic Literature, General Fiction and tagged A Prayer for Owen Meany, book review, Fiction, John Irving, review. Bookmark the permalink. I read this long ago and had forgotten how good a story it is – thanks for reminding me. Kate Morton is one of my favorite authors, and Forgotten Garden is one of her best – also liked The House at Riverton.